Like with all manufacturing processes, plastic injection molded parts can come out of the process with issues and defects that require troubleshooting. One of the most common quality issues is the short shots (sometimes referred to simply as “shorts”), in which the final product is missing material due to the mold not filling completely. In this blog, we’re going to look at the most common causes of this problem, and how troubleshooting short shots is a vital part of quality control and lean manufacturing. What is a Short Shot? Issues with the plastic selection. Issues with the mold design. Issues with the plastic injection molding machine. A common theme with many of the issues is the flow – the movement of molten plastic throughout the mold cavity. Things that affect that flow and cause it to come up short from filling the mold are the most common cause, and one of the major contenders of flow problems is the plastic itself. Depending on your material selection, you may have a resin with a high viscosity, usually measures on the Melt Flow Index (MFI). While MFI does not give the whole story (the two other categories of issues may also be contributing), it’s a good place to start. Your molder may be able to advise you on what plastic you might want to use to avoid short shots, but you ultimately must make the decision. 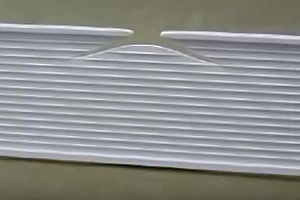 Flow Restrictions: How the plastic enters the mold can affect the flow, including the placement and size of runners and their gates. Hesitation: In the injection industry, a hesitation is when the flow slows or pauses due to variation in thickness. Venting Issues: Molds do not live in a vacuum – displaced air needs a place to vent or it will create air traps. Vents need to be created or ejections pins added to remove the air. Fixing these issues may require a redesign of the part and mold to avoid these and other quality issues. Learn how molds can be redesigned to make them more efficient in our blog, Building a Plastic Injection Molding Tool for Success. Pairing the right part with the right molding machine is key to efficient production and to avoiding flow and pressure issues. An undersized machine will not have enough pressure and ram speed, while an oversized machine may have issues with controlling pressure if the shot size is under 25% of capacity. Higher temperatures in the barrel and mold wall can also help the molded plastic from cooling too fast. It’s important to understand the different kinds of plastic injection molding machines and how switching types and sizes can help. It’s important to make sure your parts manufacture is up to the test of producing defect-free plastic injection molding parts. Learn the importance of making yours is ISO certified. Midstate Mold & Engineering can help. Contact us to consult on your current project, or you can directly request a quote on any or all of the services you need. With more than 180 years of combined experience in injection mold design, tooling, and parts production, we can assist you with every step of the process, from prototype design to making the mold to state-side parts production.